Your letters of 12th Nov and 17th Dec arrived a few days ago and I was glad to learn that all was well with you. The papers you send come to hand alright. My photo certainly makes me look thin but the fact that I was wearing a tunic made for a six foot two man has something to do with that. I am far from being thin now. Enclosed is a photograph which first appeared in the London papers. It was taken on the morning of the 15th* in Switch Trench which the 2nd Brigade had just taken from the Huns. The Rifle Brigade had just gone on to take more trenches in the direction of Flers. We had just dumped our gear in this shell hole and were having something to eat while the officer in charge discovered where he wanted our guns put. There were nine of us there with two guns we had only lost one man getting there but it was at a spot about two hundred yards to the right that four of us got hit next day. The men in the photo are Pvt. Coup (afterwards killed) Cpl. McQueen (a 4th reinforcement now sergeant) and Lt. Hayhurst (our section officer, now Capt. Second in Command of the Coy) the infantry man walking behind went up in the air before he went many yards further. The war correspondent who took the photo was a cool hand, big shells were landing all around him, earlier in the morning he had taken the first photographs of the tanks in action. The sector we are in just at present is very comfortable as far as we are concerned. The trenches and dugouts are dry and as we have a trolley running close by we do not even have to carry our gear in and out of the trenches. Until a few days ago it was freezing hard here but now a thaw has set in and I suppose we may say that winter is over now and must look forward to a month or two of mud before the weather finally clears up, and then the push. We have just heard that our NZ mail has been sunk in the Channel, hope it is not true. Trusting this finds you all in good health and spirits. *Rawei is referring to the 15th of September. The operation he is talking about is now known as the Battle of Flers-Courcelette. 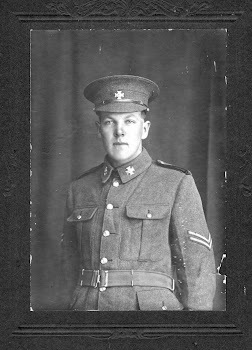 The photo referred to in the letter was lost, but a nephew of Rawei's, Peter G., found this photo (from the Imperial War Museum website) which fits the description and dates. 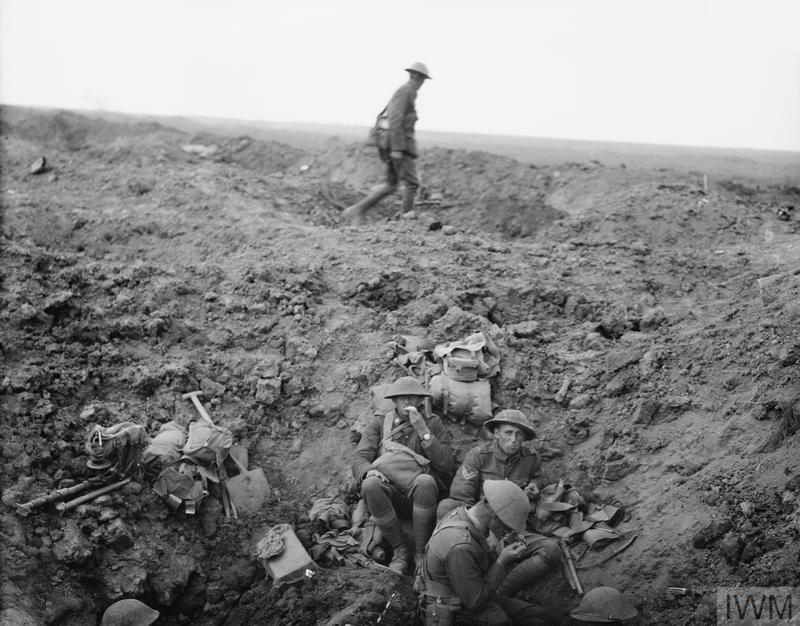 "Troops of the 2nd Canterbury Battalion, New Zealand Division, rest in a shell hole, Battle of Flers-Courcelette, 15 September 1916 Catalogue number: Q 184"